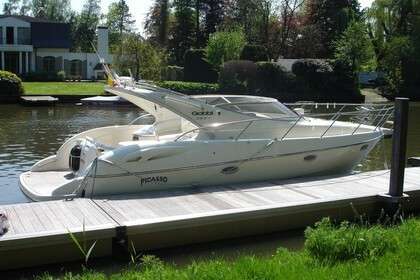 From 1st owner well maintained Gobbi 345 SC Picasso. The yacht has been carefully maintained and has been lying on sweet water in Belgium. Powered by twin Volvo Penta 230 hp KAD43P kompressor diesel engines in well maintained condition an with an average of 155 hours use per year.